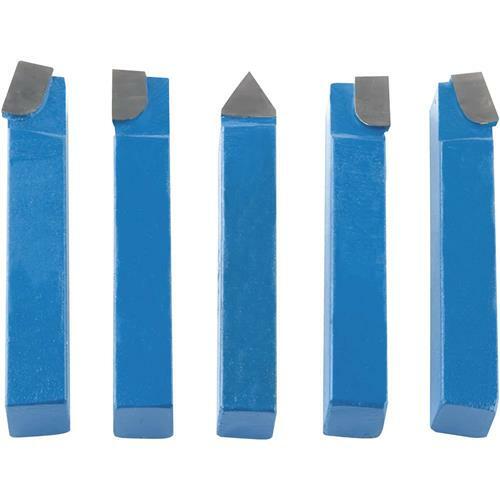 This set of 1/2" Carbide-Tipped Tool Bits includes AR, AL, BR, BL and E type tool bits. 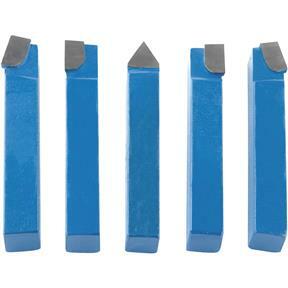 Perfect for general machining operations in steel and steel alloys. I bough these lathe cutting tools for use on my grizzly lathe, both items are working flawlessly, im very happy with both purchases. Have not used this product yet but I am expecting it to perform well as other items have done.